﻿ Roberto Carlos: "Cristiano Ronaldo is more decisive than Messi"
27.10.2015 » Roberto Carlos: "Cristiano Ronaldo is more decisive than Messi"
In an interview granted to the Brazilian media Globo Esporte earlier this week, Roberto Carlos opened up about his expectations for his managerial career and also talked about several of the biggest stars in the game these days, from Neymar to Messi and Cristiano Ronaldo. The former Inter Milan and Real Madrid superstar still didn't hang up his boots permanentely, but he's now naturally more focused in his career as a manager rather than the contribution he can still give on the pitch as a left-back. His biggest dream is to coach the Brazilian National Team in the future, but he assures he's not in a rush to replace Dunga in front of the "Escrete". 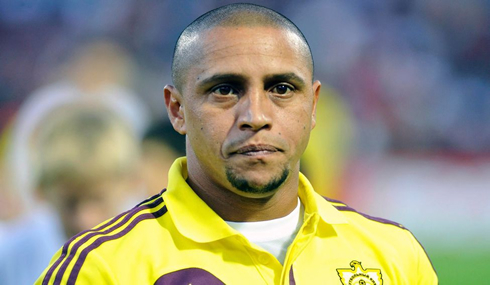 Roberto Carlos: "My main goal is to one day be appointed as the Brazilian National Team manager. I believe that I'm already ready to embrace such job and the responsibility that comes with it, mainly because I got a very experienced staff who has already been there, as well as several former players like Ricardo Rocha and Cafu. This is something I've been thinking about a lot lately. I don't want to take Dunga's place right now, but whenever he leaves the "Escrete", I'll just need to hear the phone ringing and I'll be running to answer that call", confessed the 2002 World Cup winner. The Brazilian may still have to wait a few years though. The "Escrete" has just started playing the first qualifying rounds for the 2018 FIFA World Cup that will be hosted in Russia and unless Dunga really messes it up somehow, he should remain the team's coach for at least another 3 years. Moreover, there's also the centenary edition of the Copa America next year taking place in the United States and that's something both Dunga and the Brazilian National Team are already preparing and will naturally aspire to win. In regards to the biggest Brazilian star of the moment, Roberto Carlos believes it may have been a mistake for Brazil to hand the captain's armband to Neymar, since that simply puts him under a lot of unnecessary pressure. Roberto Carlos: "To be honest, I don't think it's a very big issue, but in my opinion the best player on the pitch to be named captain is usually the team's goalkeeper. Having named Neymar the captain has made him carry a lot of pressure. We should have shielded him from that in order for him to be able to play his football without any extra pressure. I think that players like Marcelo, Miranda or David Luiz would be good alternatives...", commented the 42-year old. When it comes to discuss who's better between Ronaldo and Messi, Roberto Carlos has his very own opinion. Roberto Carlos: "I've always liked Cristiano. 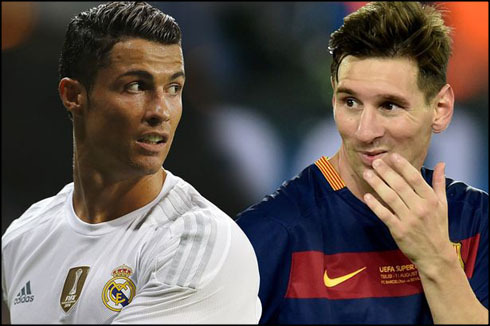 Messi is a phenomenon, but in my opinion Ronaldo is a more decisive player because he has to do a lot more on his own in Madrid than Messi has in Barcelona. I'm not saying players like Kroos or Marcelo aren't good enough, but Messi has an easier job just because he has the likes of Neymar, Suárez, Iniesta, Busquets on his side. Nevertheless, I think it's only a matter of time until Neymar dethrones both Ronaldo and Messi and starts collecting his own Ballon d'Ors...", stated the legendary left-back. Cristiano Ronaldo next game will be for Real Madrid on the 31st of October of 2015, against Las Palmas. You can watch Juventus live stream, Real Madrid vs Las Palmas, Villanovense vs Barcelona, Manchester United vs Middlesbrough, Manchester City vs Crystal Palace, and Liverpool vs Bournemouth, all matches delivered in our football live game pages.